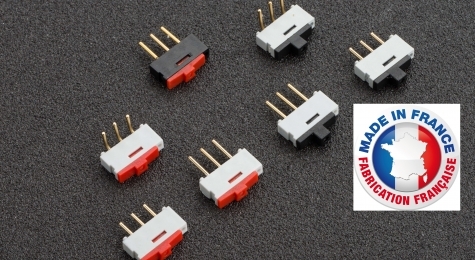 The 1K2 is a made in France miniature slide switch recommended for all electronic card applications. It is recognized as the most compact inverter on the market. A zipper slider flush or protruding gives instant recognition of the position of the switch. A "tropicalised" version is also available for applications that require reliable operation in extreme environmental conditions.